Please describe what you would like Tony Melendez to do: Please enter your message. 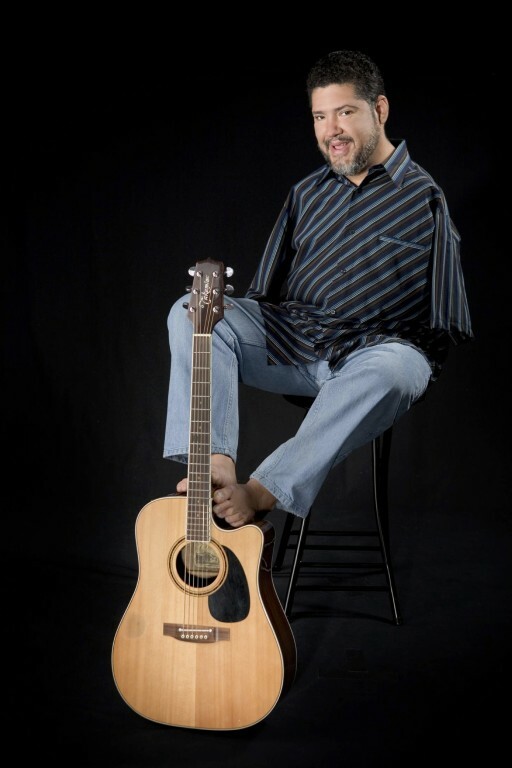 Tony Melendez is a "toe picking" guistarist, born with no arms! Commissioned by Pope John Paul II with these words "Tony you are truly a couragous young man, you are giving hope to all of us, my wish for you is to continue giving this hope to all the people". These words have been Tony's life since that moment in 1987. He has played at 11 World Youth Days and shared the stage with Pope John Paul the II, Pope Benedict and Pope Frances! Tony is considered an ambassador of hope and overcoming and appeals to every generation! Tony is not only a musician but is a world class speaker that reaches into the soul and changes your perspective! Originally from Rivas, Nicaragua, Tony Melendez was born without arms and a clubbed foot due to the drug Thalidomide! Tony's mother was prescribed this drug for morning sickness and had no idea how it would affect her unborn son! At the age of one Tony's family immigrated to the United States so Tony could have 7 corrective surguries on his left foot in order to walk. Tony grew up in a home where mom protected and cared greatly for him and at the same time had a father who encouraged and pushed him to do things on his own! As he had no arms Tony had to learn to do almost everything with his feet and at the age of sixteen taught himself how to play the guitar with his toes! As he grew proficient at his guitar playing he also matured as a singer and composer. 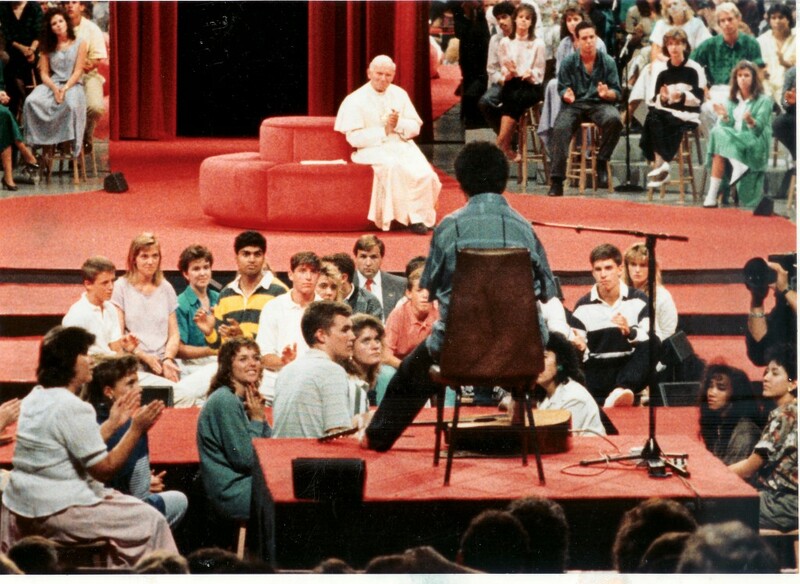 In 1987 he was asked by the youth of Los Angeles to be their gift to Pope John Paul II. It was this internationally broadcast event that set Tony's career into high gear. Today more than thirty years later Tony has traveled to all fifty states, more than 44 foreign countries and continues to resonate to every generation! Tony travels with his brother Jose, their message is one of hope, encouragement, and faith, their presentations combine music, life experiences, and media. To illustrate how Hope can overcome the struggles of being disabled, the cultural biases, and bullying through changes in attitude and discipline! Tony now resides in Branson with his wife Lynn and two kids, Marisa and Andres. Despite all the travel over the last thirty years, Tony continues to resist the siren song of stardom, hoping only to develop his musical career and share his God given gifts. " I don't feel like a celebrity," he says with a smile, " I just feel like me!" Recordings: Never Be The Same, Ways of The Wise, El Muro Se Callo, Cup Of Life, the Healing Rosary of Our Mother of Perpetual Help, Hands In Heaven, Hope and Esperanza. Awards and honors: Special commendations from President Reagan, State of California, The City of Los Angeles, and countless other civic and charitable organizations. The first annual Inspirational Hero Award from the NFL Alumni Association at Super Bowl XXIII in Miami. TV Shows: Good Morning America, CBS this Morning, Despierta America, Hour Of Power with Robert Schuller, Arsenio Hall, 700 Club, Jerry Lewis Telethons, Prime time network specials for Variety Clubs and Very Special Arts, CNN Turning Points with Dr Sanjay Gupna and countless television and newsprint articles in the USA and internationally to date. Parish Concerts/Conferences: Musical Presentations of worship and praise with a message of Hope and Inspiration. Including Adoration and Mass if requested. Parish Missions: Lenten themes include the New Evangelist utilizing Bishop Barrons 7 Qualities of the new evangelist! Mercy using the Joy of the Gospel as an outline in how the human soul when truly free can accomplish impossible things! 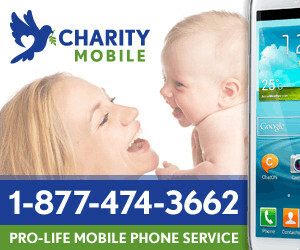 Both missions include Music, Testimony and Media! All missions can be One, two or three day missions. We can also build on other themes as requested and have combined a Concert/Mission evening or evenings. Parish Schools(Elementry through HS), Religous Education, and Youth Programs: Musical Keynotes presenting solutions and inspiration for themes like Self-Esteem, Bullying, Disability Awarness, Cultural Awareness, Faith, and Substance Abuse. Prisons: Tony has a message of hope and encouragment for men and womens prisons. A program of testimony and music sharing that the true walls of confinment are in our minds and hearts. That through prayer, changes in attitude and surrender we can overcome the physical by allowing the spiritual gifts to set us free! To book Tony Melendez for an event, contact CatholicSpeakers.com at 513-214-1534 or click here: https://catholicspeakers.com/profiles/tony-melendez Tony Melendez is a "toe picking" guitarist, born with no arms! Commissioned by Pope John Paul II with these words "Tony you are truly a courageous young man, you are giving hope to all of us, my wish for you is to continue giving this hope to all the people". These words have been Tony's life since that moment in 1987. He has played at 11 World Youth Days and shared the stage with Pope John Paul the II, Pope Benedict and Pope Frances! Tony is considered an ambassador of hope and overcoming and appeals to every generation! Tony is not only a musician but is a world class speaker that reaches into the soul and changes your perspective!